Mr. Sanjay Upadhyay is a Supreme Court Advocate and the founder and managing partner of the India’s first environmental law firm, Enviro Legal Defence Firm. Sanjay has been practicing environment and development law since 1993. An India Visiting Fellow at the Boalt Hall School of Law, University of California, Berkeley (Fall 1996) and a legal intern to the Earth Justice Legal Defense Fund, San Francisco, he started his professional career at the World Wide Fund for Nature– India at the Centre for Environmental Law. He has served as an environmental and development law expert to most well known International, Multilateral, national and state Institutions including World Bank, IUCN, FAO of United Nations, UNDP, AFD, DFID, ILO, SDC, IC, IIED, ODI, WWF, Green Peace, HBF, TERI, WINROCK, MOEF, MOPR, MOTA, MNRE, IIFM, ICFRE, IEG, WII, IIPA, NIRD, University of Cambridge, Duke University to name a few.His areas of expertise is environment and development law and more specifically the legal and policy dimensions of Natural Resource Management including ecotourism, Ecodevelopment, Wildlife Conservation, National Parks and Sanctuaries, Biodiversity and Forestry. 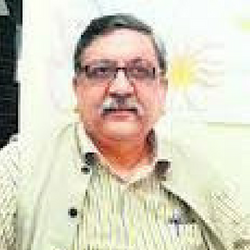 He is a visiting resource person to most premier environmental institutions and law schools in India such as the National Law Universities of Hyderabad, Bangalore, Delhi, Kolkata; Indian Institute of Forest Management, Wildlife Institute of India, state judicial academies, the National and state Forest Academy among others. 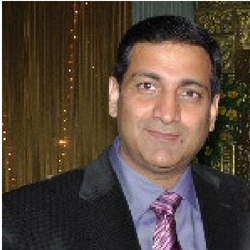 Mr Gagan Sethi is a Development educator and practicing Organizational Development expert and a Gender trainer. As founder of Janvikas, he has helped set up several strategic organizations in the country, for example Kutch Mahila Vikas Sangathan, Sahjeevan, Drishti, Centre for Social justice, HID forum to name a few. He was appointed as member of monitoring group by NHRC to monitor human right violations. 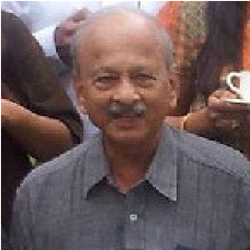 His professional expertise lies in Human and institutional development training and designing.He has helped many feminist organizations with their internal change processes.He now focuses on governance and accountability of nonprofit.He also continues his association as mentor to Centre for Social Justice and as a promoter and resource person for Centre for Governance Studies.He is in the Board of many other organizations in India, some of them being YUVA, NIRANTAR. Janvikas, Drishti, WASSAN, Navsarjan. Mr. Aroon Joshi has been Board member of ECONET since 2008. With over 48 years of active service in the field of HR and OD, he has worked in diverse sectors such as public and private sector, academics and development sector. 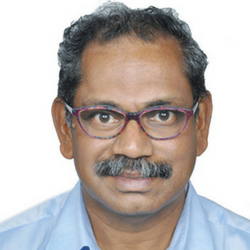 He has led HRD processes various Organizations such RPG group, Cadbury India in different capacities and is a Visiting Professor at IIM, Ahmadabad and Bangalore among others.He has been actively involved in the development sector and is a Board member of organizations such HIDF, Yuva Mumbai. Mr Joshi is Independent consultant to Organizations such as Thomas Cook, Wockhardt, Novartis, Asian Paints, Infosys, and Tata Serwisol as Organization Restructuring Expert. He is a member of the Indian Institute of Applied Behavioral Sciences. 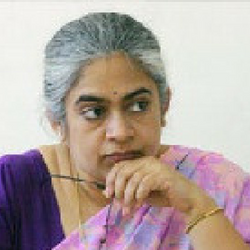 Ms. Anita Patankar is the Director of the Symbiosis School for Liberal Arts, Pune. She has specialized in the field of Marketing Management Education Management, Psychotherapy and Counseling. Her previous experience at the Symbiosis College of Arts & Commerce, Symbiosis Centre for Distance Learning and other departments within the Symbiosis international University have helped her develop a 360 degree outlook on education. Ms. Patankar conducts workshops in Marketing, Education pedagogies, Communication and Personality Development. She has authored and edited books on marketing and business administration as course textbooks for graduate and post graduate students. The founder member of the first liberal arts program in the country, she has learned about this much needed educational philosophy by studying it and visiting liberal arts colleges in USA. Bringing the zing back to the classroom and engaging students to challenge themselves and their faculty, is what she believes Indian colleges need to desperately invest in. She is passionately committed towards educating young adults about the need for a critical appraisal of our life styles and teaches a course called ‘Advertising and Contemporary Culture’ with a view to exposing students to deeper meanings hidden in mass media messages. George has engaged in social commitments from his student days, supporting workers in the unorganized sector and their families. With an MA in Philosophy and LLB from Pune University, he started working in the development sector in the late 70s. He was initially employed with Training for Development Scholarship Society, Pune and later by terre des hommes Germany as its South Asia Coordinator. He expanded the work of terre des hommes Germany across India and into Nepal and Pakistan. He continues to be engaged with different organisations as a Development Consultant. Ingrid Mendonca graduated from Tata Institute of Social Sciences, Mumbai with an MA in Social Work. She also has an MPhil in Sociology from Pune University. She has been active in the social development sector for over three decades. 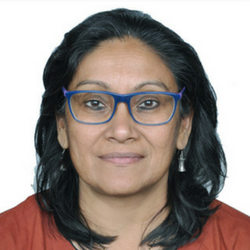 Currently she leads the South Asia office of terre des hommes Germany. Ingrid has been active in women’s development sector both professionally and personally. She has been associated with various women’s organisations and has contributed to training girls and women. She is passionate about children’s rights and goes out of her way to support initiatives to protect and safeguard children in difficult circumstances.